Who says that only boys can have Pirate parties?! 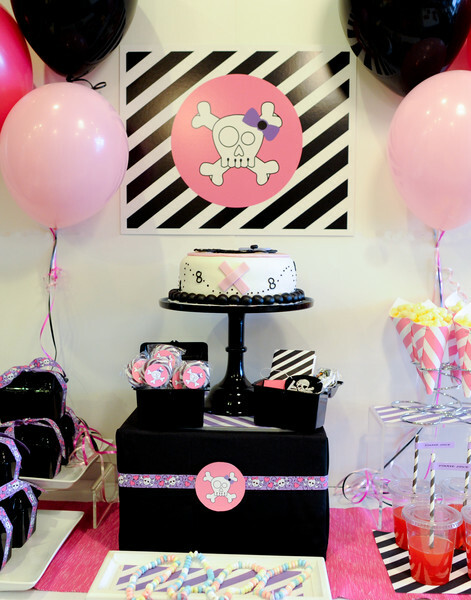 This GIRLY PIRATE THEMED BIRTHDAY PARTY submitted by Lisa Komer of Fancy That would be perfect for any tween or teen girl. 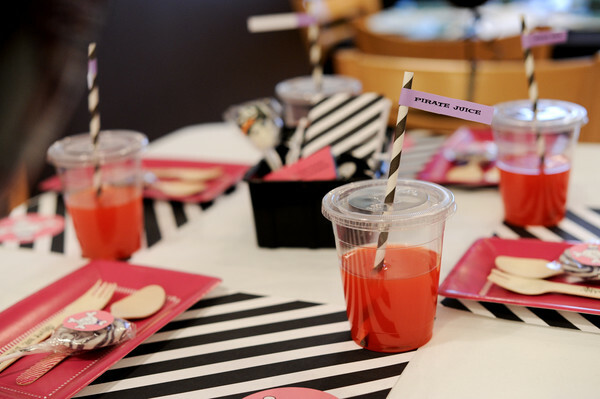 Here is what Lisa had to say about the party-- "I let my daughter choose the next party theme for my shop and she decided on a Girly Pirate party! 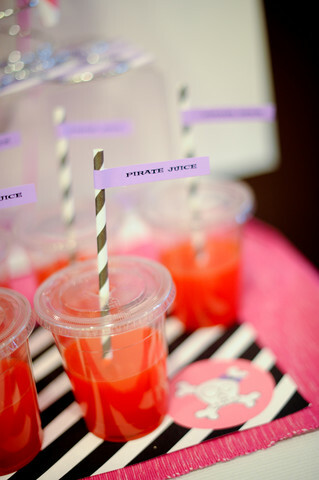 We added girly touches to this pirate theme by using pinks and purples. Favors are a black treasure chest filled with crayons and a note pad with our signature skull graphic, pirate lollipop, eye patch and candy necklace with pirate charm. The cake is one of my favorites! 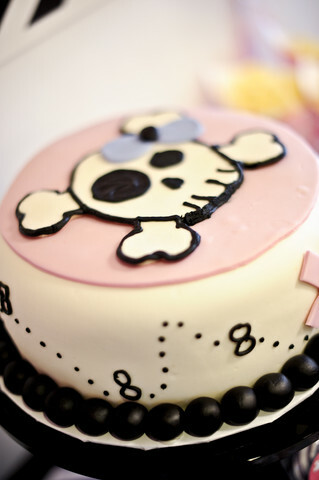 Bliss Bake Shop took our girl pirate graphic and created this adorable cake for us!" My niece would freak at this. She loves all things skull! How adorable, even girls need pirate parties! 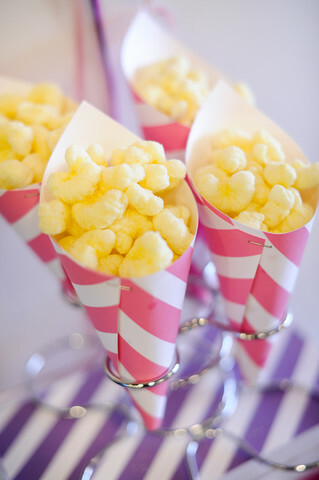 My shop offers a cute photo invitation that goes right along with this theme...check it out.